There are currently 87,931 users on this website. Can Anyone Recommend Good Coin Shops In Sydney And Melbourne? This is a request to Australian CCF members! I am going to a family reunion in New Zealand over Christmas and the New Year. Prior to this I shall be flying to Sydney and then taking a 7-night cruise to Hobart, Burnie and Melbourne. I'd be interested in any recommendations for coin shops in Sydney and Melbourne. I don't want to spend a vast amount of money, but would love to find a place where I can rummage in junk bins for pre-decimal coins and maybe buy a few more recent commemoratives and mint sets. 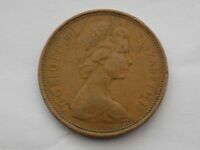 Newly listed items on eBay by NumisRob. 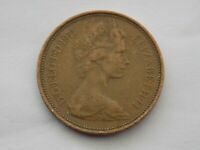 View all NumisRob's items on eBay. 1971 2P NEW PENCE COIN EXCEEDINGLY COMMON MINTAGE 1454856250 NOT RARE!!! INCREDIBLY COMMON COIN 1971 2P NEW PENCE MINTAGE 1454856250 NOT RARE!!!! Downies in Sydney had a good junk box last time I was there. Not too sure I mean I havent see any place that are really a bargin shop, however coin usually have a huge selection of coins to pick from. Most dealer will have mint set and their premium are not much different from each other (i dont think they can really fleece you when you can check online what the price maybe). However there knowledge base is definitely different. AFA Sydney goes I used to deal with I S Wright in Castlereagh St.pre Internet,they were very fair as far as Dealers can be.I haven't been there since they moved to Forest Lodge,near Sydney Uni. Oh and one more thing keep the receipts so you can claim GST back at the airport. Since I'm guess you are taking them back with you. By the way, I love the machines at the train stations in Sydney that sell soda and candy bars. 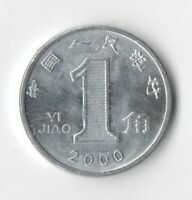 You put in a coin, press the 'Coin Return' button and down comes a different coin of the same denomination! I've filled in several gaps to my collection this way! and make a small purchase and get back a heap of change. @numisrob did you want to meet up?